After a rather lengthy hiatus, BC Musician Magazine has been revamped and relaunched as a bimonthly, more hefty publication. 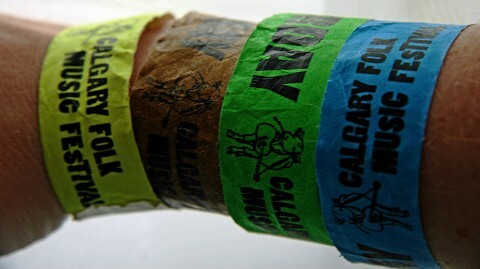 The current festival issue includes my reminiscences of those sweaty heady days of last summer's Calgary Folk Festival. Sharing a dirty laugh or two with a rebel cowgirl, searching for the spirit of nature with a gospel trio, and coming close to killing a homeboy with attempted kindness - it's all in there. Care to have a quick glance? And I have a deadline this week! UGH!!! Awww thanks, WC! You are too. I'm really good at putting things off till the final days before deadline, which makes for panic writing. What's your topic for this column? I'm just a small time blog girl at heart, BAP. Well, not sure...Something about food pricing, the local overpriced grocery store's grocery monopoly in town, and the so-called alternatives we have around here - like even more overpriced farmer's markets. I am still formulating things in my brain! I agree that you're a great writer and fun to read. And yes, the Great Cookie Poisoning of 2009. I'm confused, though (hold the front page). Is Sled Island an island or what they call the venue downtown? It seems that, amid tall buildings, acoustics would suffer from echo. While perusing other parts of the magazine, I noticed an ad for Hemp & Co. A fellow was wearing a hemp sweater, and I started wondering if he could smoke it. Nice to see BC Musician back with a bigger spread, and your writing to accompany it! Reminds me that I need to post with them about our concert series this summer via the interweb. Sounds like it will be a compelling article, WC. It also sounds like you live by the philosophy that I follow, summed up best by RDJ's character in Zodiac: "it's written, I just have to type it". Sled Island is actually a music festival in Calgary, Charlie. It's held at various venues around downtown, with an all day concert being held at a downtown outdoor location. No actual islands were harmed in the making of the festival. And I am pretty sure that, in an emergency, one could smoke one's hemp sweater. I'm happy that they are publishing again too, Al. BCMM's FB page is a great resource for reaching your target audience, too. I'd forgotten about that character in Zodiac, actually...Thanks for the reminder; that's a great quote. Well look at you! That's great!Looking forward to more! It's what I live by, WC, and I suspect you do too. You probably also have a large portion of your column written in your head before you even type a word of it. There will be more, Lesley. There's always more where that came from. Good piece, Barb! And so glad to hear your house concert was a reSOUNDing success. You write the same way I do, WC. It was a great house concert, Berni, wish you guys could have been here. Huzzah on Jane coming home! Can't wait to see her!